Did you know that dental amalgam – the silver-coloured fillings residing in the mouths of thousands of Australians – contains about 50 percent mercury? Did you know that mercury is a potent neurotoxin, capable of causing a myriad of health concerns? Do you realise that grinding an amalgam filling can dramatically increase exposure to mercury vapor? 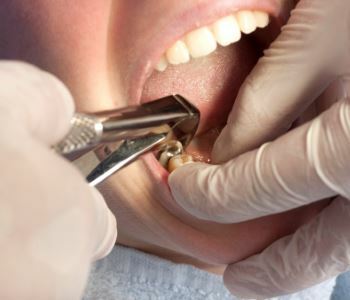 Not knowing the facts about amalgam removal could cost your health. Smile in Style, with offices in Sunbury and Moonee Ponds, has answers. Dental amalgam is believed by some to be in a stable form in a filling, bound by a combination of other metals. However, mercury can be absorbed through skin, inhaled, or ingested. When a conventional dentist removes amalgam without precautions, the patient (and the dental team) are exposed to particle scatter, contaminated water spray, and mercury vapor. Mercury emits toxic vapor from the friction of chewing, brushing, or having teeth cleaned. A dentist’s drill magnifies that risk significantly. Cutting the amalgam filling into chunks. Keeping the filling cool with a cool water spray on the amalgam filling during the removal process . Use of a high-volume evacuator to extract mercury vapour from the air to maintain safe air quality for the patient, the staff and the environment. Providing the patient with oxygen to breath, instead of exposure to mercury vapour. Using a rubber dam to catch particulate matter and prevent accidental ingestion of the amalgam filling. Replacing the amalgam filling with a composite resin material that blends beautifully with the smile or for larger fillings they can be replaced using the CEREC machine, to create a ceramic restoration that is not only beautiful, it is also biocompatible, durable and longer lasting.